Homeowners take great pride in creating the very best look and feel for every part of their home. Keep this in mind during your consultation with an expert in custom closets from our Toronto office. 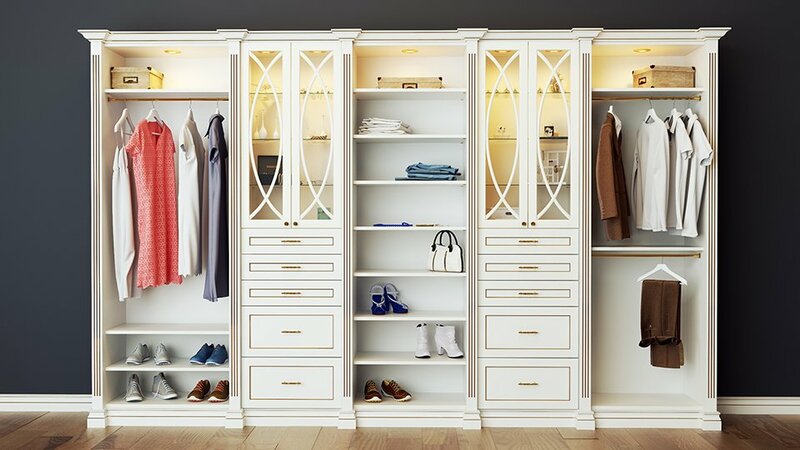 With a complete selection of durable materials, beautiful designs and high-end finishes, your new custom closet might just become your favorite part of the house! If you nee a custom closet for your Toronto construction services instead, check out our Solutions for Builders. Your custom closet from Toronto is just waiting to be made! With our three main product lines - and hundreds of customizable options - you’re sure to find one that fits your style and budget. The Essential Line is our most cost-effective option for those wanting to increase storage without sacrificing on quality or value. The simple, yet elegant snowy finish creates a uniform look that compliments any space. 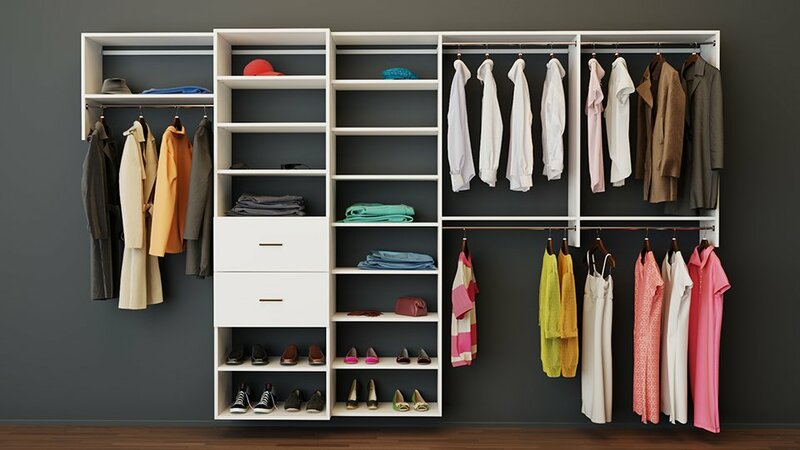 The Design series is our mid-level closet suitable for a wide variety of applications. Decorated to fit in the modern home, this line offers stylish upgrades on top of its standard features. Supreme Elegance is our flagship product designed for homeowners who demand the very best in style and functionality. 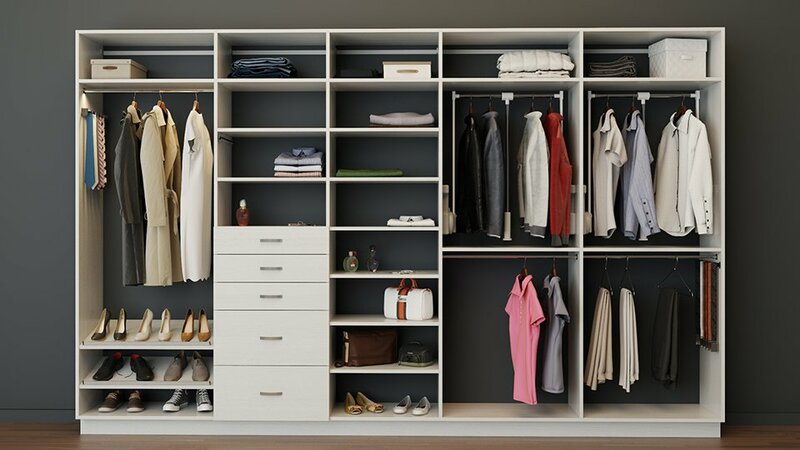 The Supreme Elegance system is a floor-to-ceiling closet that maximizes space and provides elegant storage for all your belongings.